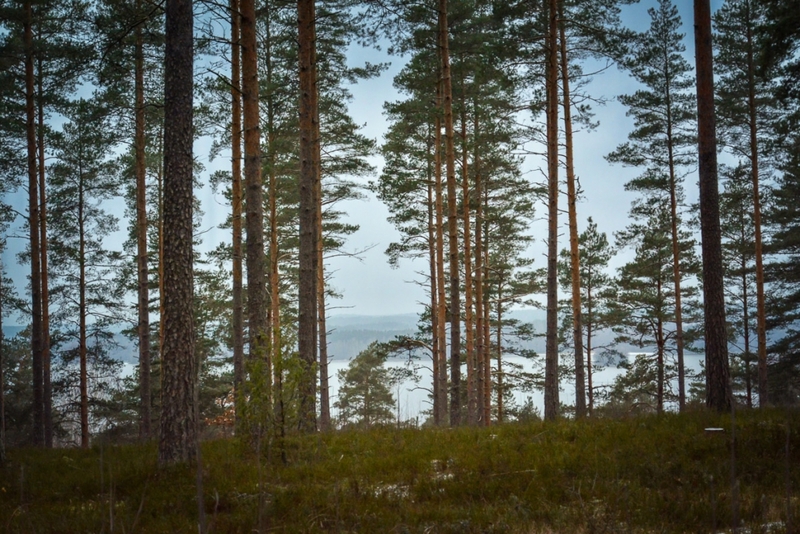 In Lohja, less than an hour drive from Helsinki, rises the majestic Lohjanharju Esker. It is the perfect location to enjoy what nature has to offer. It’s right by the city, and the trails are easy. 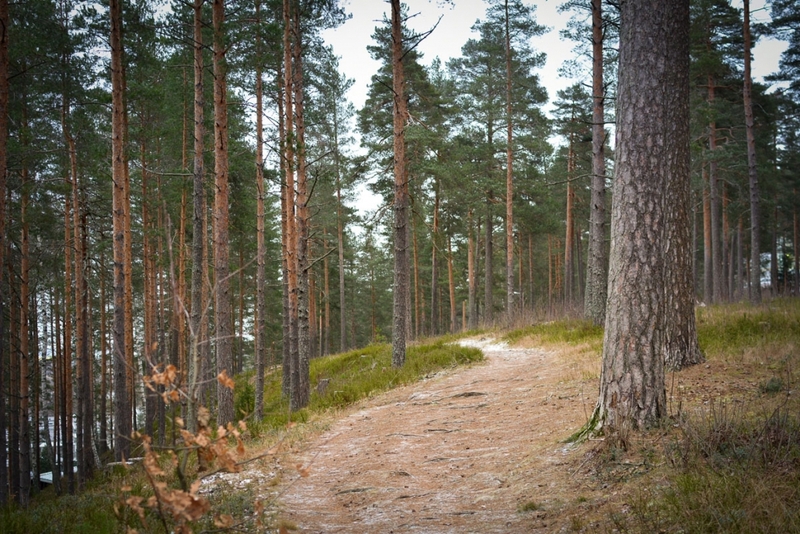 Several marked outdoor trails criss-cross the Lohjanharju Esker. Their lengths are from 1 to 6.5 kilometres, and they are accessible with prams as well. 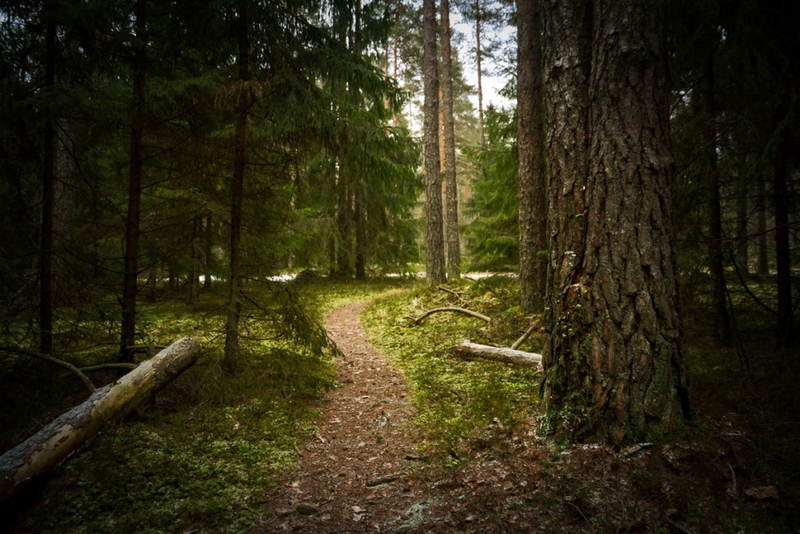 Amongst these wide trails there are many smaller ones that will lead the traveller to the mystic forests and to the land of the fairies. 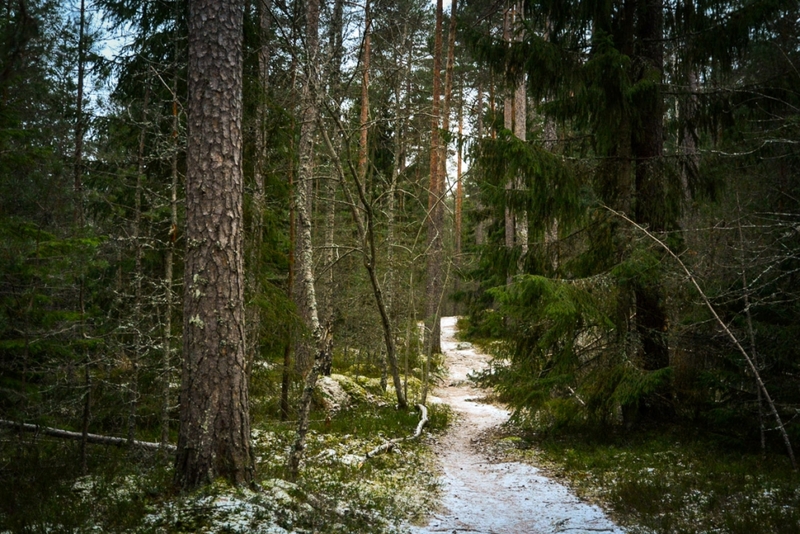 Although the esker is a fascinating destination all year round, in winter the trails will become skiing tracks where walking is prohibited. A natural starting point for a trip to the esker is by the Neidonkeidas Swimming Hall (Address: Runokatu 1). 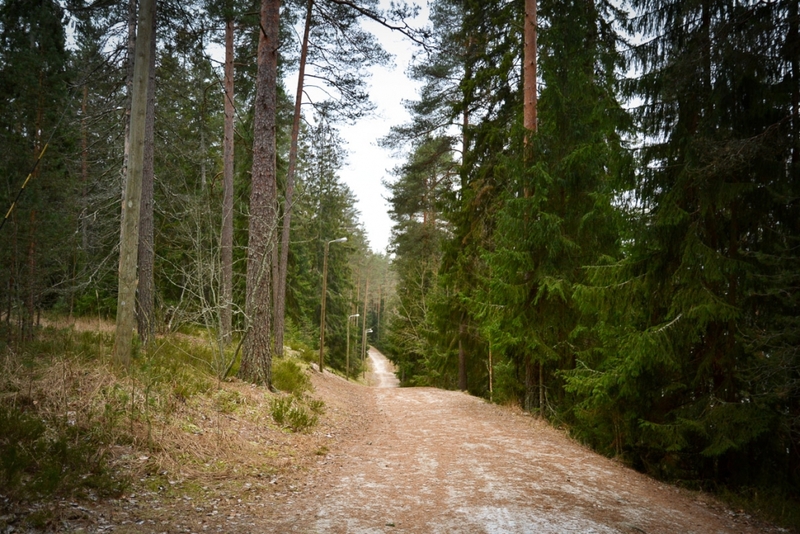 If you come from the centre of Lohja, it is recommended that you take the path that starts from the Kasarminkatu Street, goes up the hill and joins the other trails running parallel to the slope. If you come by car, you can leave it at the parking lot of the swimming hall. There is a stairway beside the swimming hall leading down to the trail. It is one Sunday in December. I am standing on top of the esker. The ground is still free of snow, but the sky is covered in clouds. There’s still some light at noon. I can hear the noises carrying from the city, and I look around me. I have come here to investigate the tracks of the last Ice Age, and I wonder how the landscape looked back then, almost 10 000 years ago. I still hear the noise, but now it is different. Where a moment ago the rooftops of the city were, now are the swelling waves of the ancient Yoldia Sea. Behind me, the glacier stretches further than the eye can see. The rivers that are born deep under the ice are transporting massive amounts of sand and gravel, which will slowly accumulate into a border moraine. 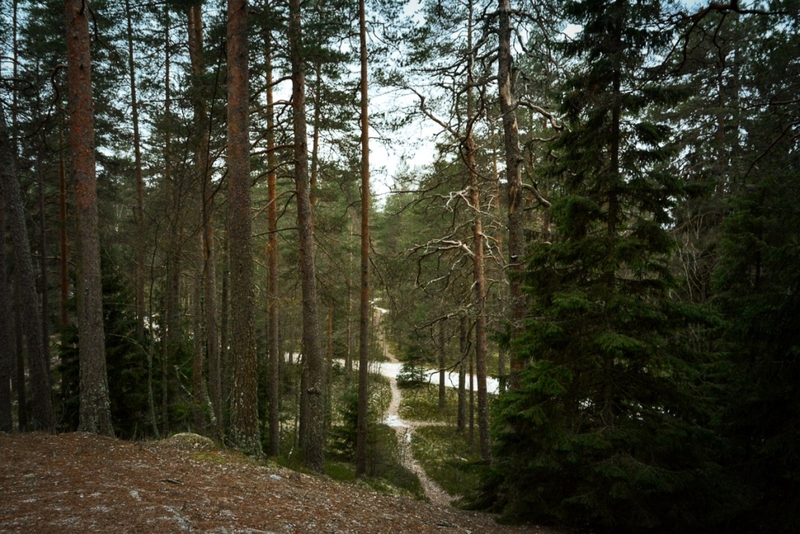 That long mound runs hundreds of kilometres, following the edge of the glacier, and reaching from Hanko to Lohja and via Lahti, all the way to Eastern Finland. This ancient landscape is clear in my mind when I start my journey on the trails of the esker. 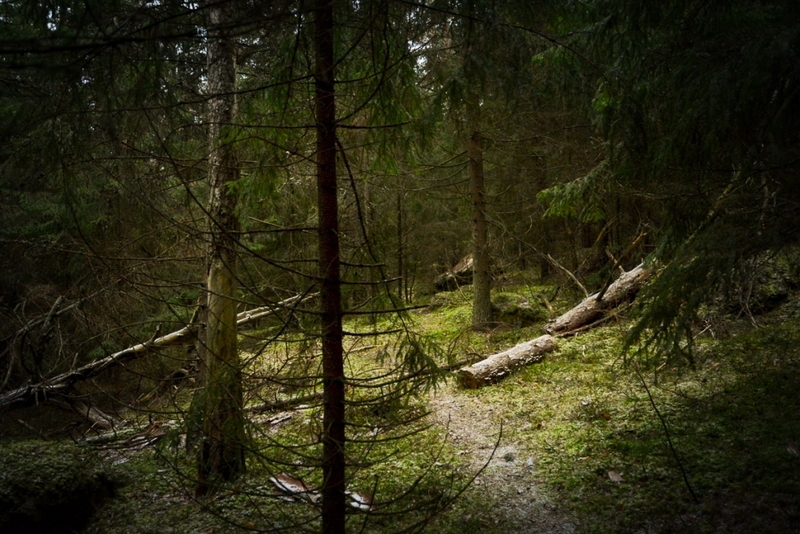 At first, the forest around me is open. Tall and robust pine trees reach up to the sky, and their tough bark spells dignity. I am walking the path downhill. I can spot colourful old wooden houses between the trees. Further away, there is the glimmering Lake Lohjanjärvi, spotted with small islands. 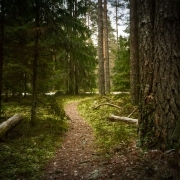 For a while, I follow the wide outdoor trail, but soon I choose a narrower path. 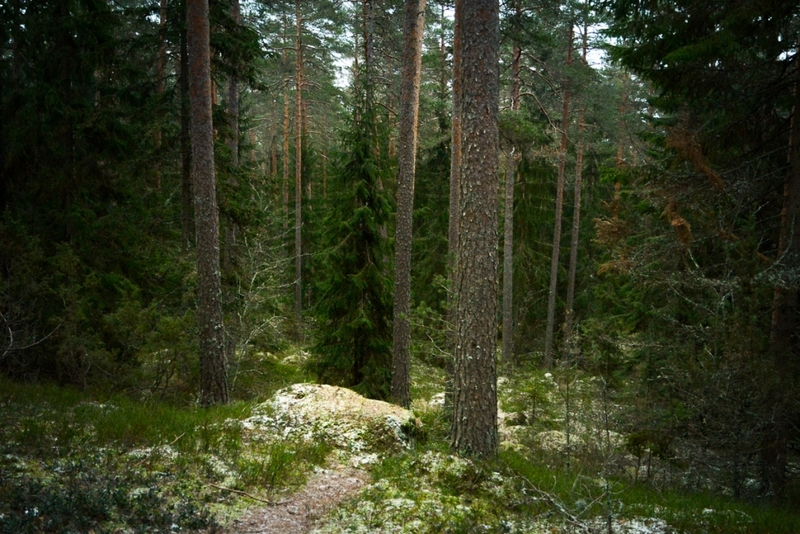 At the bottom parts of the esker, dense spruce trees create a dusky effect. As I go along, I notice the large rocks appearing here and there between the trees. 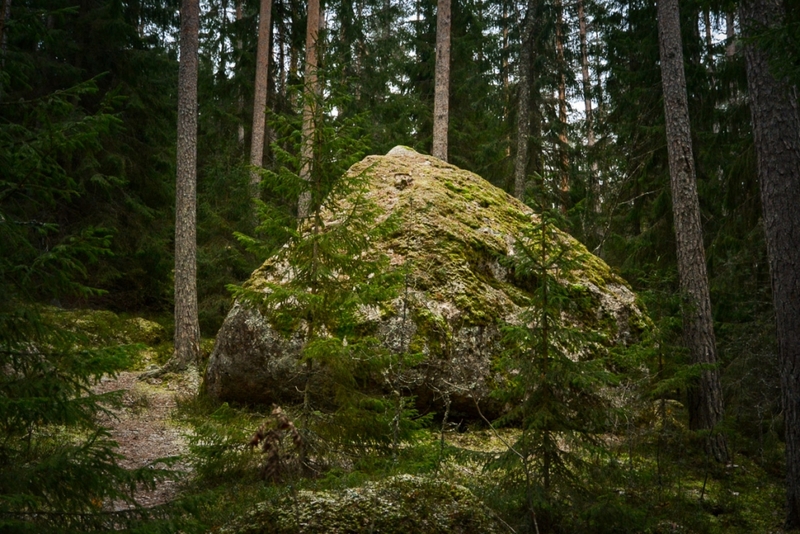 Compared to these rocks, the trees are youngsters, albeit hundreds of years old themselves. These rocks are called erratics, and they are testament to the unimaginable forces which were at play during the Ice Age. Along its way, the moving ice sheet chipped off enormous boulders and carried them even hundreds of kilometres away. 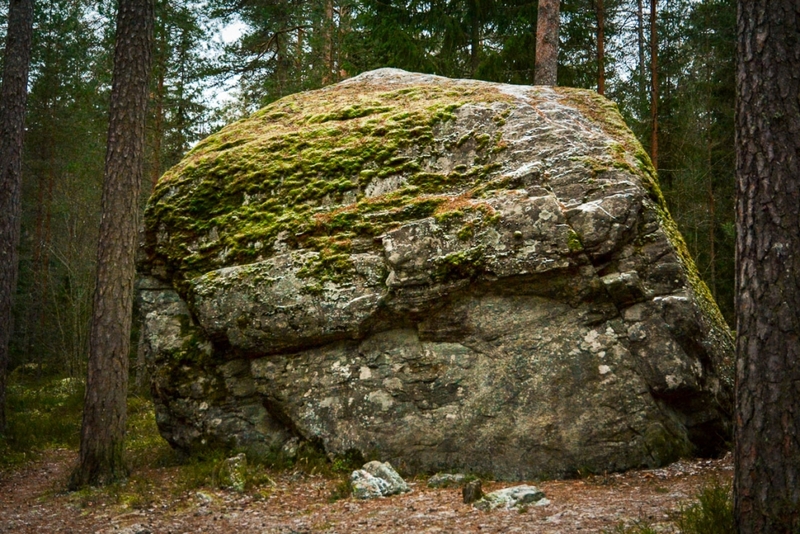 I stop beside one of these boulders to stroke the moss growing on it. 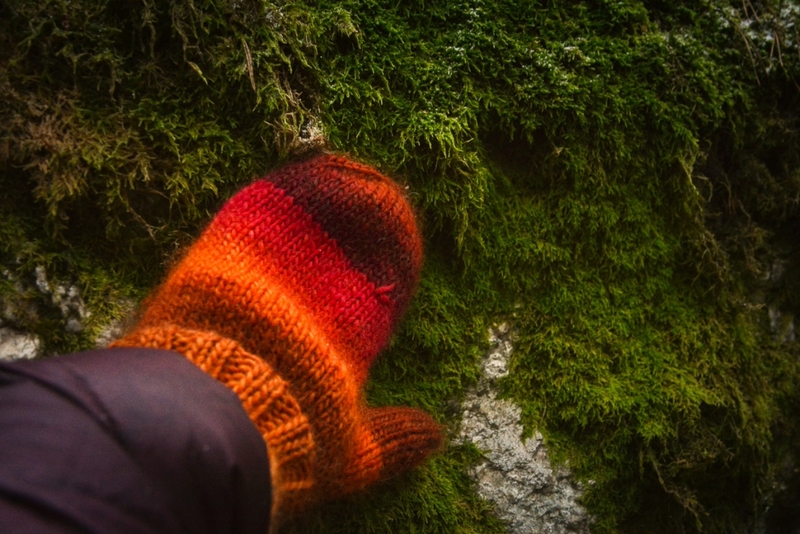 The moss is like goblin’s hair. With a little more imagination, I can discern a wrinkly face on the rock. Actually the wrinkles are a result of the Ice Age, too. Along with the larger rocks, the ice also carried smaller pebbles and stones that grinded on the larger ones and created these creases. 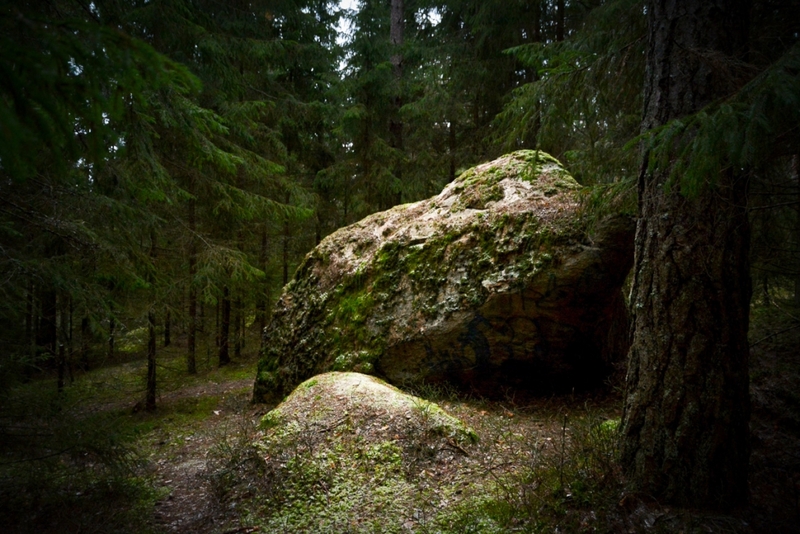 I walk alongside the esker for about 2 kilometres to the nature preservation area of Neitsytlinna to find a strange, tall mound. 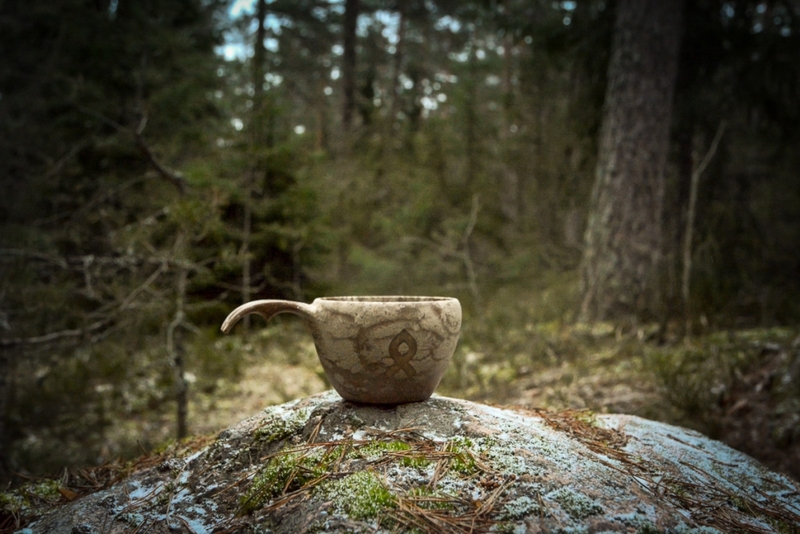 It is made of sand and moraine, but how, no-one has been able to tell. I climb up the steep slope and stop again to gaze at the scenery. The slope feels even steeper going down, and I almost lose my foothold. The mound is surrounded by erratics and smaller stones that have been honed smooth by the waves of the Yoldia Sea. 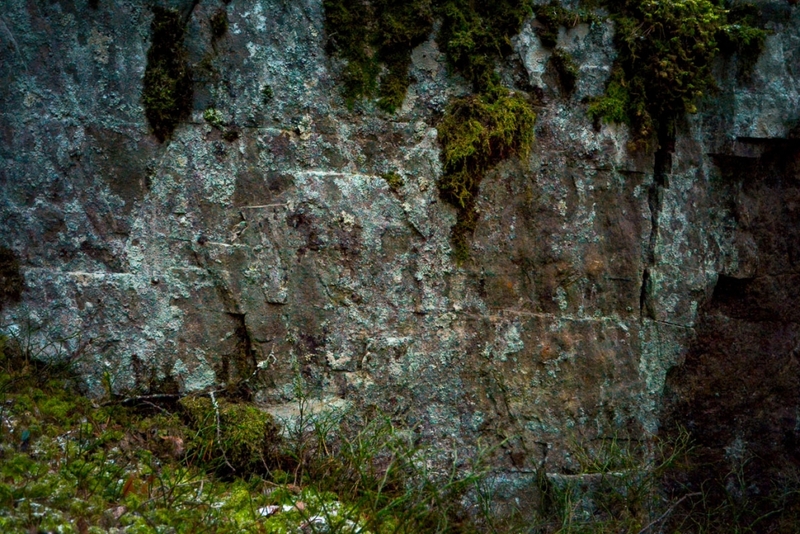 Here is an ancient shore, now covered by forests, mosses and lichens. I feel like being at a geological art exhibit when I stand in the shadow of a giant, rugged boulder. 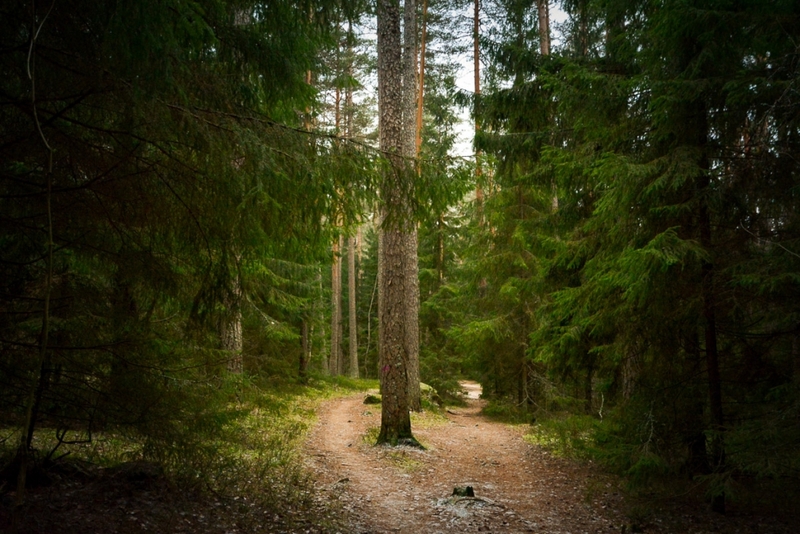 As I am ready to return, I will choose the paths higher up the esker. They will run in the open pinewood forests. I start to look for a suitable place to have my break. Can’t go backpacking without some lunch, can you! 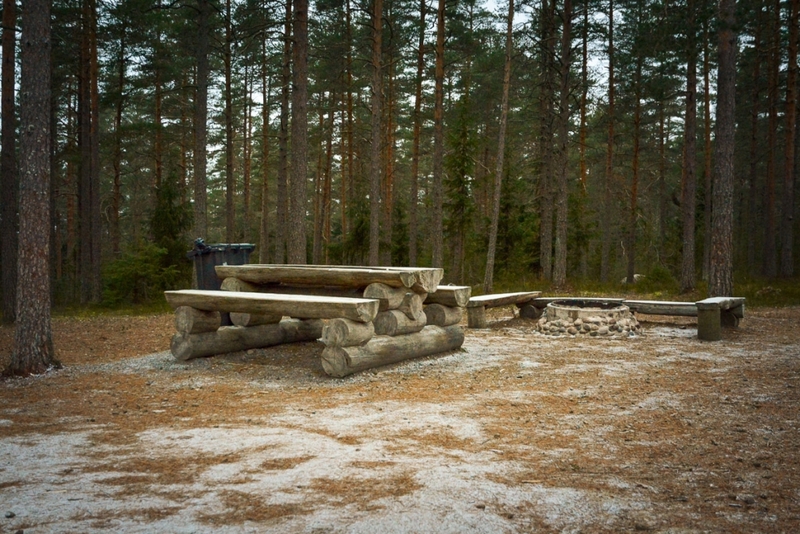 At the upper part of the esker, roughly halfway to the trail, there is a picnic table and a campfire site. 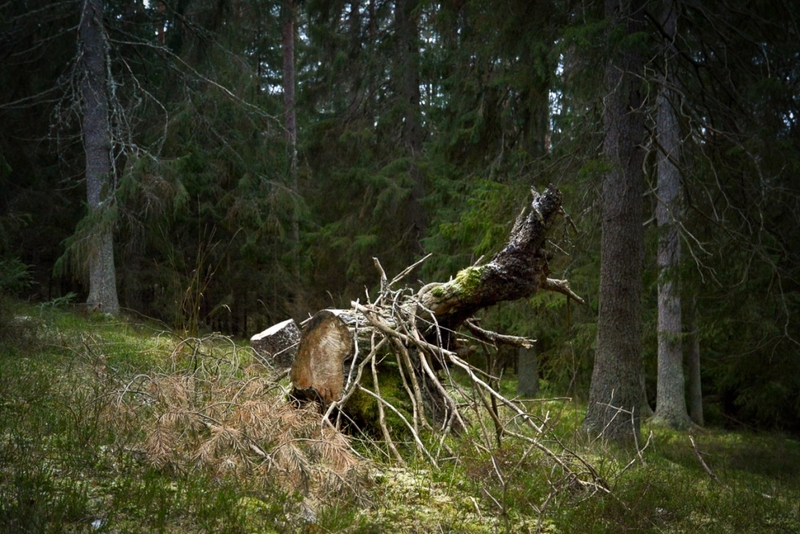 I will not stay there, though, for I spot a fallen tree a short distance away. It is so inviting that I will sit on the trunk, take out my thermos, pour myself some tea and grab a sandwich. It’s getting darker, when I return back to the place I started from, at the swimming hall. Today, the Sun didn’t favour me with his presence, but when the skies are clear, it is nice to time your trip to the esker so that you can come back just before the sunset. That way you can have the icing on your esker cake by looking at the breath-taking evening sky spreading above the lake.